Looking for a chartered surveyor in Leicester? You’ve found the right place! Readings is a leading firm of surveyors based in Leicester City Centre. As members of the Royal Institution of Chartered Surveyors (RICS), our team of chartered surveyors know what to look for when it comes to understanding the condition of a property that you are looking to buy, rent or sell. We can discuss which survey is right for you, cutting through all the jargon and giving you what you really need. We’ll help you find out the essentials of your property, whether you’re looking to buy, rent or sell. If there’s rot, we’ll spot it, and if your dream home has hidden nightmares, we’ll make sure you’re prepared. Some problems might affect its sales price, others may make it trickier to sell in the future, or rent at the price you want. We’ll help you avoid missing costly defects: forewarned is forearmed. Housing can be complex, and your home is likely to be one of the biggest investments you make. We can help you understand the reality of the situation, so you can avoid making any expensive mistakes. Our client base indicates the quality of service we provide. Local authorities, national and international lenders, housing associations and some of the area’s most respected professionals continue to use and recommend our services. Contact Readings today about the survey that would be best for you. Readings offer different levels of survey reports. 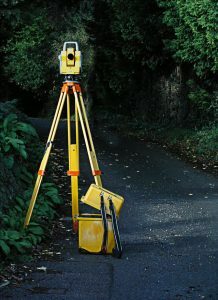 The various types of survey have been designed to suit the type of property you’re interested in. For example, a new build shouldn’t need a complete building survey unless you are planning major works. There are three different types of RICS approved reports we provide. We are happy to talk through the option that would be best for you as it can be hard to decide, particularly if you’re new to property. RICS Condition Report – Choose this report if you are looking for a newer home. RICS Homebuyer Report – Choose this report if you are buying a conventional house, flat or bungalow in a reasonable condition. RICS Building Survey – Choose this report if you are dealing with larger, older, run down properties, or you are planning major works. Readings have a depth of knowledge in the local Leicestershire property market, which we believe is second to none (we’d happily take part in a quiz to prove it). Each of our surveyors are directors of the company and have over 25 years’ each of experience in surveying. We offer commercial property agency and management with our commercial team headed by Nigel Carlisle (FRICS), who has Fellowship from the Royal Institution of Chartered Surveyors. He’s one of the most experienced Surveyors in Leicester. Our survey department is overseen by Nigel and Peter Woodthorpe (MRICS). Between these departments, we can handle most property matters. If you are looking for a surveyor or commercial surveyor in Leicester, contact Readings today to find out how we can help you make the right choice about your property. If you need any of these services or you are looking for a quality estate agent in Leicester or Leicester property auctions, please contact our team today. They’ll be able to help you swiftly and effectively with your enquiry.